An earlier post explained why U.S. citizens (and some LPRs) cannot sign the new IRS Form W-8BEN. See, IRS Releases New IRS Form W8-BEN. * U.S. citizens and LPRs beware of completing such form at the request of a third party. IRS Forms, W-8, W-9, W-8BEN-E, W-7, W-8IMY, W-4, W-8ECI, W-8EXP are a confusing alphabet soup of IRS forms. They have become more difficult to understand now because of the intricacies of the law of FATCA. See, The Importance of a Certificate of Loss of Nationality (“CLN”) and FATCA – Foreign Account Tax Compliance Act. In short, these forms are designed to “track taxpayers”; their assets and their accounts. The forms track and identify USCs who are individuals and if they are “substantial owners” (basically 10%) in various foreign entities; explained more below. Employer identification numbers (EINs) for certain entities, such as corporations, partnerships and trusts. Hence, an SSN, ITIN, EIN are all TINs, depending upon which context they are being used. Individual U.S. citizens should normally be signing IRS Form W-9, or the substitute form provided by the financial institution when asked for their U.S. taxpayer status. Banks and other third parties can have their own substitute returns that comply with the regulations. Hence, the form might not look exactly like the official IRS forms reflected here. The IRS Form W-9 is to request the U.S. taxpayer identification number of a U.S. citizen and LPR (or a TIN for a U.S. company – or other company). The IRS version is reflected herein. See, The Catch 22 of Opening a Bank Account in Your Own Country – for USCs and LPRs. Why is all of this important, now with FATCA in effect and operational throughout the world? There is greater focus on information that will be provided to foreign financial institutions (FFIs) around the world as they collect and track data on their account holders. In the case of USC (and many – if not most LPRs) individuals residing overseas, they will NOT be able to sign an IRS Form W-8, as explained above and in the prior posts – such as IRS Releases New IRS Form W8-BEN. * U.S. citizens and LPRs beware of completing such form at the request of a third party. However, if a USC (and/or LPR) is a shareholder, partner or other economic owner in a non-U.S. foreign entity (such as a corporation, certain other type of companies, certain “partnership” and “trusts” – which can be known as a non-financial foreign entity – “NFFE”), the entity itself will be required to identify the “substantial U.S. owners” of the NFFE. Sounds complicated? It is very complicated. See the key provisions of the IRS Form W-8-BEN-E highlighted in this post that reflects some of these multiple categories. 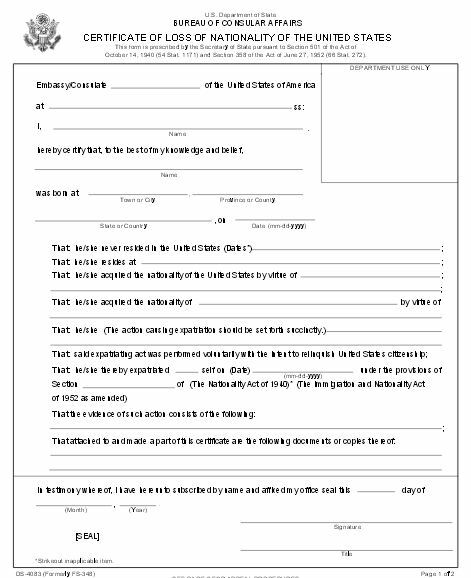 This form requires the person completing it to frankly understand the FATCA regulations (some 450+ pages worth – including preamble) and properly categorize the type of entity/taxpayer in some 30+/- different categories. That is why the Form W-8BEN-E is some 8 pages in length. Worse, for the person signing it; they must certify under penalty of perjury that it is complete and accurate. There will undoubtedly be numerous good faith errors by those who attempt to complete these new forms. Indeed, the new IRS Form W-8IMY has not even been addressed in this post, which is another form that was substantially modified due to the FATCA regulations. If this summary has not cleared up the confusion for you; don’t worry, you are not alone! I will try to continue to provided key summary explanations of these rules during the course of the next few months, as persons need to understand how to complete and implement properly these IRS Forms or the substitute forms provided by various FFIs throughout the world; now including China and Hong Kong! – has never been invoked by the federal government to bar reentry of a former U.S. citizen in its history (even when it was relevant from the mid 1990s through the following two decades). A bit of background on Senator Jack Reed of Rhode Island is worthwhile at this point. Senator Reed has had a long and illustrious public service career in the U.S. government. He has a military background where he studied at West Point, served as an Army Ranger, studied law at Harvard and previously was in the House of Representatives. Senator Reed tried in 2012 to convince then Department of Homeland Security, Secretary Napolitano to enforce the 1996 Reed Amendment to preclude Facebook co-founder Eduardo Saverin from re-entry to the U.S. after he renounced U.S. citizenship. See portion of the letter in this blog. Of course, Mr. Saverin would have been obliged to pay any “mark to market” U.S. tax applicable to his assets at the time of expatriation. He could not have escaped taxation under the law as it was written; which is the current law in effect today. This past week Senator Reed was a sponsor of a new appropriates bill for the Department of Homeland Security; the “2015 Homeland Security” bill that provides for US$47.2B (billion) in appropriates for a range of spending; such as $10.2B for the Coast Guard, $5.5B for Immigration and Customs Enforcement (ICE), $1.6B for the Secret Service, among other spending items. Reed’s provision to help prevent expatriate tax dodgers from reentering the United States calls on DHS to report within 90 days on their efforts to enforce the law that Senator Reed authored to prohibit individuals from reentering the United States if they renounced their citizenship in order to avoid taxes. Indeed, the reason or purpose anyone decided to renounce their citizenship, became irrelevant for tax purposes with the 2004 amendments to Title 26. See, more detailed information on this blog in the Government Reports Re – Law. Senator Reed’s proposal seems even more odd, when one considers that the federal government is already required to publish quarterly the list of USCs who have renounced. See, Will the IRS simply select the list of published former citizens for tax audits? This begs the question – Why does Senator Reed propose such legislative modifications? to generally demonize United States citizens living overseas who have decided to shed their USC? Also, see Senator Reed’s complete 17 May 2012 letter (Reed’s letter to Napolitano) on the subject; which of course was never enforced at the time. It was not enforced by the Department of Homeland Security or the U.S. Justice Department. Senator Reed’s shadow looms large, at least theoretically, over anyone considering renouncing their United States citizenship. On the absolute eve of the crucial July 1, 2014 FATCA deadline, China has apparently “reached [an] agreement in substance” -i.e., an IGA with the U.S. Treasury Department. This has enormous implications, in my view, considering the amount of trade between the two countries and the number of U.S. citizens and LPRs residing in China (not to mention the number of US. companies doing business in China). There had been much doubt whether China would sign an IGA. See, for instance, China’s Relationship with the Contentious U.S. FATCA. – In my view, had China not agreed to a FATCA IGA, enormous repercussions around the world would have followed – particularly regarding how FATCA would not have been able to be rolled out throughout the major economic countries. China now joins the other IGA countries “deemed to have been entered into” by a total of some 80+/- countries. See, those countries-jurisdictions that have signed agreements and those who have reached agreements in substance and have consented to being included on [the Treasury] list. China is now included as of 26 June 2014. Hong Kong had previously entered into a Model 2 IGA in 9 May 2014. What does this mean for USCs and LPRs living in China and Hong Kong? In short, Chinese and Hong Kong financial institutions (FFIs) and non-financial foreign entities (NFFEs) will need to identify the accounts of USCs and LPRs pursuant to the FATCA rules set forth in the IGA. The reporting extends beyond individuals to companies and trusts which have so-called “substantial U.S. owners”. Presumably, China will be issuing some type of implementing regulations to provide the details of how these Chinese FFIs and NFFEs will go about collecting this information. See, The Catch 22 of Opening a Bank Account in Your Own Country – for USCs and LPRs, for an overview of how these institutions will be requiring specific information of USC and LPR individuals in their home countries. According to the indictment, . . . Poulin, an attorney at a law firm based in Turks and Caicos, worked and resided in Canada and in the Turks and Caicos. His clientele also included numerous U.S. citizens. According to the indictment, Poulin established an offshore foundation for the undercover agents posing as U.S. clients and served as a nominal board member in lieu of the clients. The facts of this case will be interesting to cover, to see how and to what extent the IRS and Justice Department will be focusing on U.S. citizens residing overseas and their reporting (or failure to report) their “foreign” accounts; i.e., their financial accounts in their home countries of residence. Since the withholding tax provisions under the Foreign Account Tax Compliance Act (“FATCA”) come into effect in a matter of days, it will be interesting to see if the government has more indictments along these lines planned for the summer of 2014. U.S. citizens who are in the process of renouncing citizenship should be aware of each of the steps required as part of the process; both under U.S. federal tax law and immigration law. See, The Importance of a Certificate of Loss of Nationality (“CLN”) and FATCA – Foreign Account Tax Compliance Act. Also, see Revisiting the consequences of becoming a “covered expatriate” for failing to comply with Section 877(a)(2)(C). This entry was posted in Certification Requirement of Section 877(a)(2)(C), Criminal Tax Considerations, Tax Compliance. 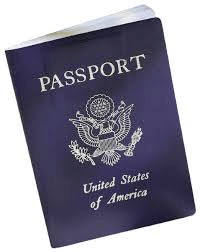 Renouncing citizenship is a way to relinquish it, so when discussing this form of relinquishment, the two words can be used interchangeably. For immigration purposes, the distinction between renunciation and the other forms of relinquishment may become meaningful when a former citizen is appealing or challenging the loss of nationality because establishing a lack of intent or duress during a formal renunciation is much more difficult than establishing a lack of intent when performing one of the other expatriating acts. See 7 FAM 1211 (h). “Be careful what you wish for . . . “, so goes the saying. Yesterday’s post discusses the breaking news of the IRS announcement of revisions to how individuals who have not filed tax returns can “come into compliance”. See, “IRS Makes Changes to Offshore Programs; Revisions Ease Burden and Help More Taxpayers Come into Compliance” – How Will These Changes Affect USCs and LPRs Living Outside the U.S.? I have argued for years that the IRS has neglected to identify the unique circumstances of USCs and LPRs residing outside the U.S.; and how the OVD programs in particular threw both resident and non-resident U.S. taxpayers into the same big bucket. There is much to be said about the new “Streamlined” procedure just announced. Particular focus has been made for USCs and LPRs living outside the U.S., and the IRS rules specific to these individuals are set forth in – U.S. Taxpayers Residing Outside the United States. Signing such a Certification carries with it specific legal rights and obligations to the person who signs and certifies to its accuracy. See, a discussion of what constitutes perjury under the tax code – Filing a False Return or Other Document – Perjury (IRC Section 7206(1) ). See, What could be the focal point of IRS Criminal Investigations of Former U.S. Citizens and Lawful Permanent Residents? 3. Complete and sign a statement on the Certification by U.S. 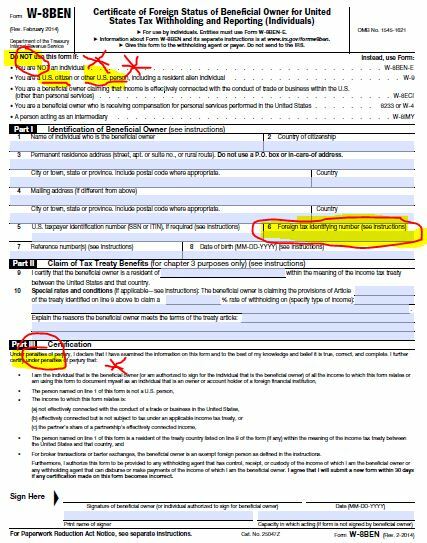 Person Residing Outside of the U.S. certifying (1) that you are eligible for the Streamlined Foreign Offshore Procedures; (2) that all required FBARs have now been filed (see instruction 8 below); and (3) that the failure to file tax returns, report all income, pay all tax, and submit all required information returns, including FBARs, resulted from non-willful conduct. He summarizes it – As courts have noted, the word “willful” is a “chameleon” which changes in tone and color according to the Code section involved and the circumstance. See e.g., former Justice Souter’s opinion in United States v. Marshall, 2014 U.S. App. LEXIS 10415 (1st Cir. 2014), discussed in More On Willfulness (Federal Tax Crimes Blog 6/13/14), here. But, I think it is clear that, in both the income tax context and the FBAR context, willful means “voluntary intentional violation of a known legal duty.” Readers will recognize this as the Cheek standard. Finally, maybe the most troubling for USCs and LPRs who live outside the U.S., is the government’s assertion that an individual can be liable for the willfulness penalty, for “willfully failing to file a FBAR” – ” . . . even if the person does not actually know of the FBAR reporting requirements.” See, page 4 of the government’s motion for Summary Judgment in the Zwerner case. This is a position they have argued consistently in at least three different cases. Worldwide press about UBS, Credit-Suisse and other foreign accounts held by U.S. persons has made virtually all individuals generally aware of U.S. tax and reporting requirements. Any individual with a most basic level of sophistication must have known of these requirements, if they ever read a paper or the Internet (or should have known). FATCA news throughout the world since its passing into law in 2010, has been impossible to ignore. Should such an argument prevail? Most private practitioners would say “no”; but the Zwerner case was illustrative of the strategies and approach taken by the government in a 150% FBAR penalty it obtained at a jury trial.